A chivalric order, order of chivalry, order of knighthood or equestrian order is an order, confraternity or society of knights typically founded during or inspired by the original Catholic military orders of the Crusades (circa 1099–1291), paired with medieval concepts of ideals of chivalry. During the 15th century, orders of chivalry, or dynastic orders of knighthood, began to be created in a more courtly fashion[clarification needed] that could be created ad hoc. These orders would often retain the notion of being a society or association of individuals, however, some of them were ultimately purely honorific, consisting of nothing but the badge. In fact, the badges themselves often came to be known informally as orders. These institutions in turn gave rise to the modern-day orders of merit of states. Over time, the above division became no longer sufficient, and heraldic science distinguished orders into: hereditary, military, religious and fees. Investiture of three new members of the Order of the Knot (miniature from the order's statutes, 1352/4). Order of Montesa founded by James II of Aragon (Spain) in 1317. Order of the Knot, founded by Louis I of Naples in 1352. Supreme Order of the Most Holy Annunciation, founded by Amadeus VI, Count of Savoy in 1362. Order of the Ermine, founded by John V, Duke of Brittany in 1381: First order to accept Women. Order of the Dragon, founded by Sigismund von Luxembourg in 1408. Emprise de la gueule de dragon (Enterprise of the Dragon's Mouth), founded by Jean comte de Foix in 1446 for 1 year. Together with the monarchical chivalric orders (see above) these honorific orders are the prime ancestors of the modern-day orders of knighthood (see below) which are orders of merit in character. The distinction between these orders and decorations is somewhat vague, except that these honorific orders still implied membership in a group. Decorations have no such limitations and are awarded purely to recognize the merit or accomplishments of the recipient. Both orders and decorations often come in multiple classes. Most orders created since the late 17th century were no longer societies and fellowships of knights who followed a common mission but were established by monarchs or governments with the specific purpose of bestowing honours on deserving individuals. 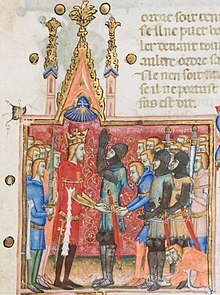 In most European monarchies, these new orders retained some outward forms from the medieval orders of chivalry (such as rituals and structure) but were in essence orders of merit, mainly distinguished from their republican counterparts by the fact that members were entitled to a title of nobility. While some orders required noble birth (such as the Order of Saint Stephen of Hungary, established in 1764), others would confer a title upon appointment (such as the Military Order of Max Joseph, established in 1806) while in yet other orders only the top classes were considered knights (such as in the Order of St Michael and St George, established in 1818). Orders of merit which still confer privileges of knighthood are sometimes referred to as orders of knighthood. As a consequence of being not an order of chivalry but orders of merit or decorations, some republican honours have thus avoided the traditional structure found in medieval orders of chivalry and created new ones instead, e.g. the Order of Merit of the Federal Republic of Germany, the Decoration for Services to the Republic of Austria, or the Legion of Merit of the United States. 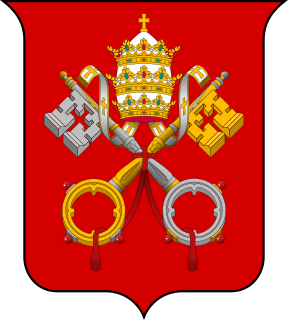 Sovereign Military Order of Malta, one of the original military orders, founded as the Order of St. John of Jerusalem in 1048, sanctioned by Pope Paschal II February 15, 1113. Order of the Holy Sepulchre, another of the original military orders founded circa 1099. Order of Calatrava founded by St. Raymond of Fitero (Spain) in 1164. Order of Alcantara founded by Ferdinand II of León (Spain) in 1167. Order of Santiago founded Ferdinand II of León (Spain) in 1170. Order of Saint James of the Sword founded by Afonso I of Portugal in 1172. Order of the Most Holy Annunciation, founded by Amadeus VI, Count of Savoy in 1362, ceased to be a national order of Italy when the Kingdom became a republic in 1946, but continues to be awarded by the heir of the last King. Order of the Seraphim, founded by Frederick I of Sweden in 1748. Order of Skanderbeg, founded by Zog I of Albania in 1925. Order of the Sword, founded by Frederick I of Sweden in 1748 [Not awarded since 1974]. Order of the Polar Star, founded by Frederick I of Sweden in 1748. Order of St. George the Triumphant, founded by Catherine the Great of the Russian Empire in 1769. Order of Vasa, founded by Gustav III of Sweden in 1772 (Not awarded since 1974). Order of St Patrick, founded by George III of the United Kingdom in 1783 (Not awarded since 1936). Order of Charles XIII, founded by Charles XIII of Sweden in 1811. Royal Order of Isabella the Catholic, founded by King Ferdinand VII of Spain on 14 March 1815 (became a Spanish order). Military William Order, founded by King William I of the Netherlands on 30 April 1815. Order of the Netherlands Lion, founded by King William I of the Netherlands on 29 September 1815. Order of St Michael and St George, is an order of chivalry founded on 28 April 1818 by George, Prince Regent, later George IV of the United Kingdom, while he was acting as Prince Regent for his father, George III. Order of the Southern Cross, founded by Emperor Pedro I of Brazil on December 1, 1822. Order of Leopold, founded by King Leopold I of the Belgians on 11 July 1832. Royal Norwegian Order of St Olav, founded by King Oscar I of Norway on 21 August 1847. Order of Saint John (Bailiwick of Brandenburg), Order founded in 1099 and refounded in 1852. Order of the Gold Lion of the House of Nassau, founded by King-Grand Duke William III of Luxembourg in 1858. Order of the White Elephant is an order of Thailand. It was established in 1861 by King Rama IV of the Kingdom of Siam. Order of Orange-Nassau, founded by the Queen regent Emma of the Netherlands, acting on behalf of her under-age daughter Queen Wilhelmina of the Netherlands on 4 April 1892. Royal Victorian Order, founded by Queen Victoria of the United Kingdom on 21 April 1896. Order of the Crown, founded by King Leopold II of the Congo Free State on 15 October 1897 (became a Belgian order in 1908). Order of Leopold II, founded by King Leopold II of the Congo Free State on 24 August 1900 (became a Belgian order in 1908). Order of Michael the Brave, founded by King Ferdinand I of Romania on 26 September 1916. Order of the British Empire, founded by King George V of the United Kingdom on 4 June 1917. Knightly Order of Vitéz, founded by Miklós Horthy the Regent of Hungary in 1921. Order of the Sun, founded by Man Singh II, the Maharaja of Jaipur in 1947. Royal Order of Sahametrei, founded by King Norodom Sihanouk of the Kingdom of Cambodia on September 9, 1948. New Zealand Order of Merit, founded by Queen Elizabeth II of New Zealand in 1996. Order of Saint Lazarus, founded in 1098 at a leper hospital in the Latin Kingdom of Jerusalem and is one of the lesser known orders. Order of Pahlavi, founded 1928 by Reza Shah, abolished 1979 after the Iranian Revolution. There were two classes. 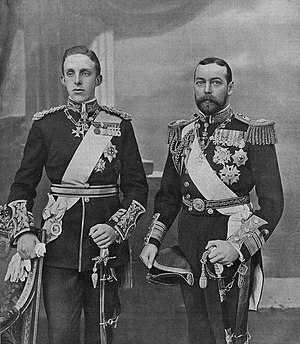 The first class, the Grand Collar, was worn by the Shah, crown prince, and awarded to heads of state. The second class, the Grand Cordon, was worn by princes and princesses. Insignia of the British Order of the Garter. Each of these ranks wear insignia, usually badge (often enamelled) on a ribbon. Typically these insignia are worn from a sash in the case of the senior ranks, around the neck for the middle ranks (see also neck decorations), and on the left chest for the lower grades. Many orders use insignia in the form of a cross, but there may also be stars, and military awards may have crossed swords added onto the insignias. Ladies may wear the badge on a bow on the left chest. In orders following the example set by the French Legion of Honour, the two highest classes also wear a star (or plaque) on the chest. In special cases the senior class may wear the badge on a collar, which is an elaborate chain around the neck. In certain countries with feudal heritage the higher ranks (usually at least the Grand Cross) may have vestments proper to them, including a robe or mantle and a hat. An example of such a modern-day order is the Order of the British Empire. The French Legion of Honour democratised the honour systems of orders of chivaly and merit in the sense of formally omitting both the expectations of nobility on admittees while also no further implying the same status on previously non-noble conferees. Yet some orders may still expect noble ancestry on the part of recipients, such as the Sovereign Military Order of Malta and those of the Alliance of the Orders of Saint John of Jerusalem. Others may continue to imply conferral of nobility on any admittee, whether hereditary or personal, such as in some of the cases of dynastic orders conferred by the House of Bavaria or the House of Imperial Russia. The orders have influenced organizations which are completely separate and distinct from them. Since at least the 18th century, Freemasonry has incorporated symbols and rituals of several medieval military orders in a number of Masonic bodies, most notably, in the "Red Cross of Constantine" (derived from the Sacred Military Constantinian Order of Saint George), the "Order of Malta" (derived from the Sovereign Military Order of Malta), and the "Order of the Temple" (derived from the historical Knights Templar), the latter two featuring prominently in the York Rite. Some organisations claim to be chivalric orders but are actually private membership organisations that have not been created by a state or a reigning monarch. The answer to the question of whether an order is legitimate or not varies from nation to nation, François Velde wrote an "order of knighthood is legitimate if it is defined as legal, recognized and acknowledged as such by a sovereign authority. Within its borders, a sovereign state does as it pleases. Most, if not all, modern states have honorific orders and decorations of some kind, and those are sometimes called orders of knighthood." Exactly what makes one order legitimate and another self-styled or false is a matter of debate with some arguing that any monarch (reigning or not) or even the descendants of such can create an order while others assert that only a government with actual internationally recognized authority has such power (regardless of whether that government is republican or monarchial in nature). Historically, nobility and knights have also formed Orders of Knighthood. The Noble Order of Saint George of Rougemont is a Baronial Order and the Ordre de la Pomme d'Or was founded by 14 knights in Auvergne in 1394. ^ a b "St. George's Chapel: History: Order of the Garter". See the definition of the Order of the Garter as "a society, fellowship and college of knights" there. - St. George's Chapel, Windsor Castle. 2005. Archived from the original on 15 September 2006. Retrieved 6 November 2006. ^ Velde, François Velde (25 February 2004). "Legitimacy and Orders of Knighthood". Heraldica. Retrieved 18 November 2012. ^ "Order of the Garter". Official website of the British Monarchy. Archived from the original on 2009-06-14. Retrieved 2012-11-18. ^ "Order of the Thistle". Official website of the British Monarchy. Retrieved 2012-11-18. ^ "Monarchy Today: Queen and Public: Honours: Order of St Patrick". Official website of the British Monarchy. Retrieved 2012-11-18. ^ The Dean and Chapter of Westminster Abbey (2011). "Order of the Bath". Westminster Abbey. Retrieved 11 December 2012. The Most Honourable Order of the Bath was established as a military order by Letters Patent of George I on 18 May 1725, when the Dean of Westminster was made Dean of the Order in perpetuity and King Henry VII's Chapel designated as the Chapel of the Order. ^ a b Sauer, Werner (1950). Die Orden und Ehrenzeichen des Kurfürstentums Hessen-Kassel (in German). Hamburg: Verlag Kleine Reihe für Freunde der Ordens- und Ehrenzeichenkunde. pp. 19–24. ^ Hoegen Dijkhof, Hendrik Johannes (2006). The legitimacy of Orders of St. John: a historical and legal analysis and case study of a para-religious phenomenon. Amsterdam: Hoegen Dijkhof Advocaten (van Universiteit Leiden). pp. 35–41. ^ Velde, François Velde (25 February 2004). "Legal Definitions of Orders of Knighthood". Heraldica. Retrieved 18 November 2012. ^ Brett-Crowther, Michael Richard (1990). Orders of Chivalry under the Aegis of the Church. London: Lambeth Diploma of Student in Theology Thesis. pp. 80–90. ^ Kurrild-Klitgaard, Peter (2002). Knights of fantasy : an overview, history, and critique of the self-styled "Orders" called "of Saint John" or "of Malta", in Denmark and other Nordic countries. Turku: Digipaino. ISBN 9512922657. ^ Thiou, E. (2002). La noble confrérie & les chevaliers de Saint-Georges au Comté de Bourgogne sous l'Ancien régime & la révolution. Mémoire et documents. ^ Bossuat, A. (1944). Un ordre de chevalerie auvergnat; l'ordre de la Pomme d'or'. Bidle/in bistoriqia it stienti/iqm dt I'Aupergite, Uiv (1944), 83-98; H. Morel,'Unc associa, 523-4. Anstis, John (1752). Observations introductory to an historical essay upon the Knighthood of the Bath. London: James Woodman. Burke, John (1725). Statutes of the Most Honourable Order of the Bath. D'Arcy Jonathan Dacre Boulton (2000) [February 1987]. The knights of the crown: the monarchical orders of knighthood in later medieval Europe. Woodbridge, Suffolk: Boydell Press, Palgrave Macmillan. pp. 1325–1520. ISBN 0-312-45842-8. Kaeuper, Richard W.; Kennedy, Elspeth; De Carny, Geoffroi (December 1996). The Book of Chivalry of Geoffroi De Charny: Text, Context, and Translation. University of Pennsylvania Press. ISBN 0-8122-1579-6. Risk, James C. (1972). The History of the Order of the Bath and its Insignia. London: Spink & Son. Wikimedia Commons has media related to Category:Chivalric orders. A knight is a man granted an honorary title of knighthood by a monarch, bishop or other political or religious leader for service to the monarch or a Christian church, especially in a military capacity. A military order is a chivalric order with military elements. Western military orders were originally established as Catholic religious societies; the first orders originated during the medieval Crusades with the stated purpose of protecting Christians against violent persecution by Islamic conquests in the Holy Land, which later evolved into serving as a standing army that defended the Kingdom of Jerusalem. 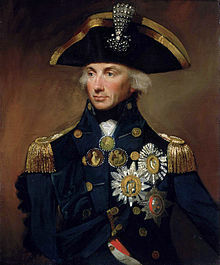 An order is a visible honour awarded by a sovereign state, monarch, dynastic royal house or organisation to a person, typically in recognition of individual merit, that often comes with distinctive insignia such as collars, medals, badges, and sashes worn by recipients. The Royal and Military Order of Saint Louis is a dynastic order of chivalry founded 5 April 1693 by King Louis XIV, named after Saint Louis. It was intended as a reward for exceptional officers, notable as the first decoration that could be granted to non-nobles. By the authorities of the French Republic, it is considered a predecessor of the Legion of Honour, with which it shares the red ribbon. The Order of the Holy Spirit, is a French order of chivalry founded by Henry III of France in 1578. Today, it is a dynastic order under the House of France. The Order of Saints Maurice and Lazarus is a Roman Catholic dynastic order of knighthood bestowed by the House of Savoy, founded in 1572 by Emmanuel Philibert, Duke of Savoy, through amalgamation approved by Pope Gregory XIII of the Order of Saint Maurice, founded in 1434, with the medieval Order of Saint Lazarus, founded circa 1119, considered its sole legitimate successor. The Grand Master is Vittorio Emanuele, Prince of Naples, since 1983. The Sacred Military Constantinian Order of Saint George is a Roman Catholic dynastic order of knighthood founded 1520–1545 by two brothers belonging to the Angeli Comneni family. Currently, the grand magistry of the order is disputed among claimants to the headship of the former reigning house of Bourbon-Two Sicilies as heirs of the Farnese. The Order of Saint Joachim was an order of chivalry founded in 1755 to promote religious tolerance in Europe. A collar is an ornate chain, often made of gold and enamel, and set with precious stones, which is worn about the neck as a symbol of membership in various chivalric orders. It is a particular form of the livery collar, the grandest form of the widespread phenomenon of livery in the Middle Ages and Early Modern Period. Orders which have several grades often reserve the collar for the highest grade. The links of the chain are usually composed of symbols of the order, and the badge of the order normally hangs down in front. 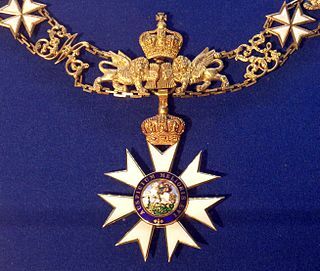 Sometimes the badge is referred to by what is depicted on it; for instance, the badge that hangs from the chain of the Order of the Garter is referred to as "the George". The Order of the Star was an order of chivalry founded on 6 November 1351 by John II of France in imitation of the Order of the Garter founded in 1347 by Edward III of England. The inaugural ceremony of the order took place on 6 January 1352 at Saint-Ouen, from which it is sometimes called the Order of Knights of the Noble House of Saint Ouen. The orders, decorations, and medals of the Holy See include titles, chivalric orders, distinctions and medals honoured by the Holy See, with the Pope as the fount of honour, for deeds and merits of their recipients to the benefit of the Holy See, the Catholic Church, or their respective communities, societies, nations and the world at large. The Military and Hospitaller Order of Saint Lazarus of Jerusalem is a Christian ecumenical lay order statuted in 1910 by a council of Catholics in Paris, France, initially under the protection of Patriarch Cyril VIII Jaha of the Melkite Greek Catholic Church.